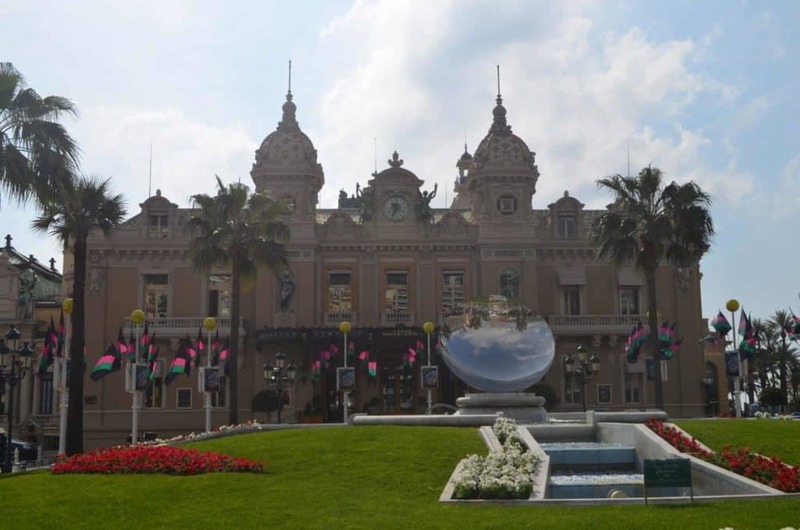 The Monte Carlo Casino is an icon, and not just for its role in many Bond thrillers. 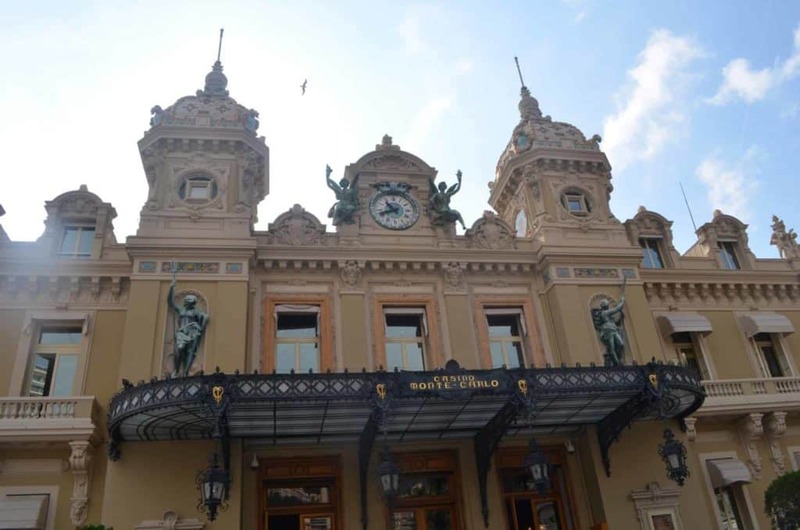 The epitome of glitz and glam, wealth and stature; the Monte Carlo Casino is a must see for everyone playing at being rich and famous in the French Riviera. Even if you can’t roll up in something this flashy. If I win big…I want one of these! 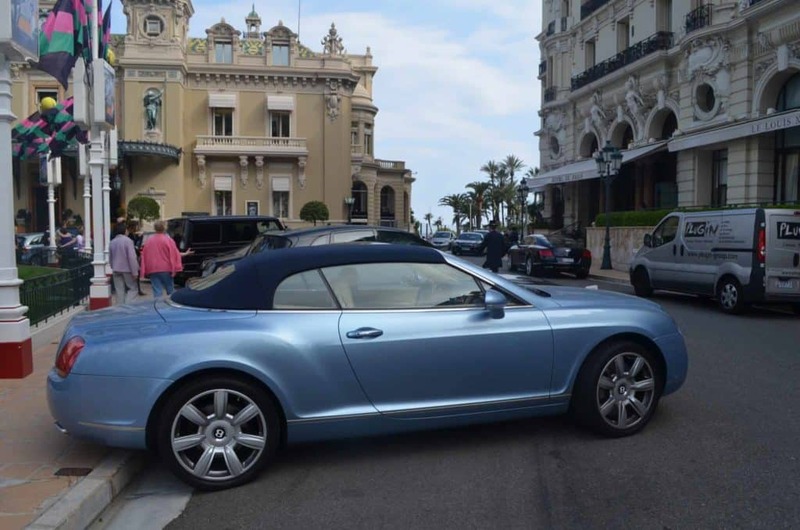 When I first arrived in Monte Carlo from Nice it was too early for the Casino to be open. So I wandered around the area getting the best of my one day, but made sure to stop back before I left. After all, how could I not test my luck in the world’s most famous casino? Despite my incredibly non-couture ensemble I was kindly permitted into the main area where I was directed to a desk to drop off my camera and any extra bags. No fee was charged but I was made aware that absolutely no photos were allowed during my visit and as such, I needed to leave everything, including cell phone, behind. Nodding my consent, I handed over everything but my wallet and entered into the play land of the elite. To be honest, the main area wasn’t as swanky as I expected. That being said I was completely charmed by the old world look. Rich red carpets lined the floors while gorgeous lamps hung from the ceilings. Well-dressed men stood behind shining wooden desks, observing the room and its patrons. I spent a little while just exploring. I couldn’t go far as I wasn’t a) dressed or b) rich enough to get into the private areas, but I could still look around a few rooms. I watched a group of Asian tourists at a black jack table for a bit. Having arrived a bit late I wasn’t quite sure what was happening but judging from the stack of chips and exuberant reactions from one woman, she was doing pretty well. With my mini-tour done I decided it was time to try to win a bit myself. The only problem? I don’t gamble. I’ve bought one lottery ticket in my life; on my 18th birthday. I won three free tickets off of it and when those ran out, I was done. As for casinos, I’d only ever been to one for a friend’s 23rd birthday, and panicked as I watched my hard-earned money disappear; choosing to hit the button and take out my last $5 rather than risk it all. It’s not that I’m over cautious; I just know I’m unlucky, so what’s the point in throwing it away? However, here in the infamous Monte Carlo Casino I knew I needed to play a little, just to say I did it. So I reached into my wallet and pulled out a new, crisp $5 euro bill. (Hey, it’s all I could afford). Picking a slot machine at random I tried to feed my 5 euros into the machine. But instead of accepting it and starting to spin, it spit it back out. Flipping the bill around I tried again, and again, and again. Nada. Confused I got up and went over to a man at one of the desks, asking if I could exchange a bill. “No problem mademoiselle” he told me, passing me another 5 euro bill. Ready to go I went back to the same machine, only to have this bill spit back out at me too. Over, and over and over. Noting my confusion a security guard came over and asked me if I needed help. After explaining what happened, he suggested I swap my bill. I told him I already did, and after trying himself he used his key on another machine, fed it my 5 euro bill, and printed me off a voucher. Wishing me good luck he smiled and walked away. So here I was, two 5 euro bills and a voucher later, in front of a slot machine in the Monte Carlo Casino. After having so many issues, most people would take it as a sign and walk away; choose another machine that was a bit more user- friendly. But not me. Being too stubborn, or dumb, to move from the first machine I picked I fed it my voucher and began to play. Two minutes. I swear I only lasted a maximum of two minutes before I ran out of money. Done, I stared at the flashing zeros under my balance before loudly announcing to the German couple beside me that that was the fastest 5 euro I had ever spent in my life. They laughed at my bad luck before turning back to their own game, in which they were doing considerably much better than I was. Sighing I left, collected my bags from the coat check, and headed to the bus stop to head back to Nice. My pockets weren’t lined with any extra bills but I did manage to check another awesome travel goal off my list. Maybe I’d have more luck in Vegas. This is what typically happens to me at a casino slot machine! I give it all of my money and I leave with nothing. I’m sure the casinos wouldn’t be in business if everyone won! And usually if we do end up winning a small amount, we end up gambling it all away again. Oh well – I’m sure it was one of those experiences that you just had to try while you were there! I’m not a gambler either, but it is fun to do it a little under certain circumstances! We actually didn’t gamble when we were in Vegas, but we probably should have gambled at least a few dollars! 🙂 I didn’t realize they were so strict about photos in Monte Carlo, but I guess it makes sense. Sounds like a fun experience! It was fun…worth the 5 euro I ‘donated’ as Megan said! “Donated” haha! I like it! Yeah, I’m no gambler, either. I don’t know anything about slots or black jack…. This made me laugh… in a fay, I hoped for you to break the bank with the 5 euro, but maybe it wasn’t meant to be. 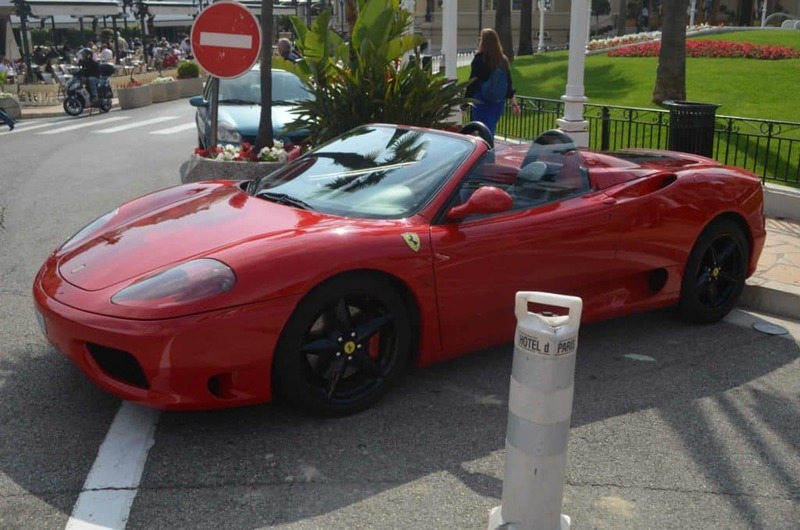 I didn’t go into the casino in Monte-Carlo as I was told you have to pay 50 euro to get it, clearly I was misinformed! Haha I know wouldn’t that have been awesome? Sadly no luck at all! I think you need to pay to go into the private rooms (along with fancy clothing and ID) but just the general area with slots and a couple tables is free for everyone! fun! i had my children with me when i was there (on a cruise excursion) so i couldn’t go in. i love slot machines so i would have a blast! i am disappointed to hear it wasn’t as swanky as you figured. i’d expect the royal treatment there. I’m not a big fan of casinos, mainly because those are always hugely disappointing. Do not start me on Vegas! But Monte Carlo was the only casino I myself enjoyed! haha so I better not get my hopes up on Vegas then! I think casinos are a lot of fun with a strict time and money limit. I won $100 Australian dollars in Brisbane that oasis l paid for dinner 🙂 I was in Montecarlo in 2007 but was bummed that they didn’t let me in w/o my passport. Lovely photos. Haha, love it! I went to Monte Carlo this past summer, but unfortunately I was there in the morning before it opened. Would have loved to try my hand at something though! You’ll have to go back to try again! Wow, so strict with no bag or camera! I’m also surprised it wasn’t up yet, unlike Vegas where they never close. Still, after seeing too many Bond movies, I wouldn’t be able to go to Monre Carlo without going to one either. Such fun – and at least you didn’t lose big! !